upplementary material reads: "Photo assignment for Friday May 2 at 11 a.m. Pls. go to Broadway Hollywood Dept. 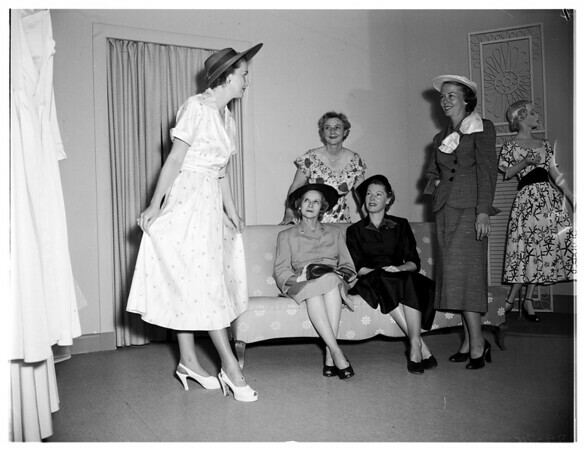 Store, third floor gown shop, see Mrs. Polk, get shots of Stanford Women's Club members planning fashion tea. Candid, three and five vols. Contacts Monday. Thanks, Carter Ludlow".